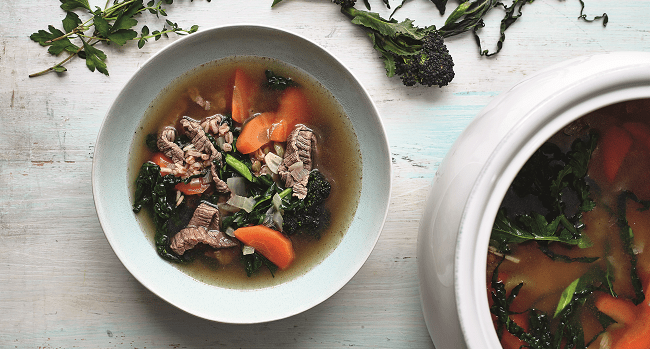 This fabulous beauty broth recipe is a little like Scotch broth but instead of braising the beef in the broth, I add thin strips of minute steak at the end. The steak is first tossed in skin-friendly cayenne pepper to give it a bit of a kick. A really warming dish – great for Sunday supper after a bracing wintery walk! 1. Heat the oil in a large saucepan and add the onion, carrots and celery, with 2 tablespoons of cold water. Stir together and sauté for 10 minutes, until the vegetables start to soften and turn golden. 2. Stir in the garlic and thyme and cook for 1 minute, then add the barley, followed by the stock. Season well. Put a lid on the pan and bring to the boil. Simmer for 30 minutes. 3. Stir in the rice and lentils and continue to simmer for 20 minutes. 4. Stir in the cavolo nero and broccoli and cook for a further 5 minutes. Fish out the spriggy parts of the thyme – by this stage the leaves will have come away from them and flavoured the soup. 5. Cut the minute steak into thin strips, toss with the cayenne pepper and season well. Drop the strips into the soup and nudge them under the surface so they poach in the hot liquor for a minute or so, and cook until the meat is just tender. Stir in the parsley and serve. – For a slightly cheaper cut, try beef skirt, which you can cook in one of two ways. If you prefer steak-style strips as above, use the same weight but cut into four pieces, following the grain. Brush with cayenne then fry in a little oil, until golden and the outside is sealed, turning as necessary. Slice thinly then drop into the soup before serving. – Another way is to braise the beef. After stirring in the garlic and thyme in the second step, brush the beef skirt with the cayenne, then put it into the pan. Pour over the stock and simmer for 30 minutes first, then stir in the barley and continue to cook following the method above. Liz Earle is best known for her passion for botanical beauty, natural health and wellbeing, as well as for environmental and sustainable sourcing. The bestselling author of over 30 books on looking good, eating well and healthy living, Liz is also one of Britain’s leading businesswomen. Co-founding the multi award-winning Liz Earle Beauty Co. in 1995, which became Britain’s largest independent beauty brand (now owned by Walgreens Boots Alliance, Liz remains connected), she received an MBE in recognition of her services to the beauty industry in 2007. 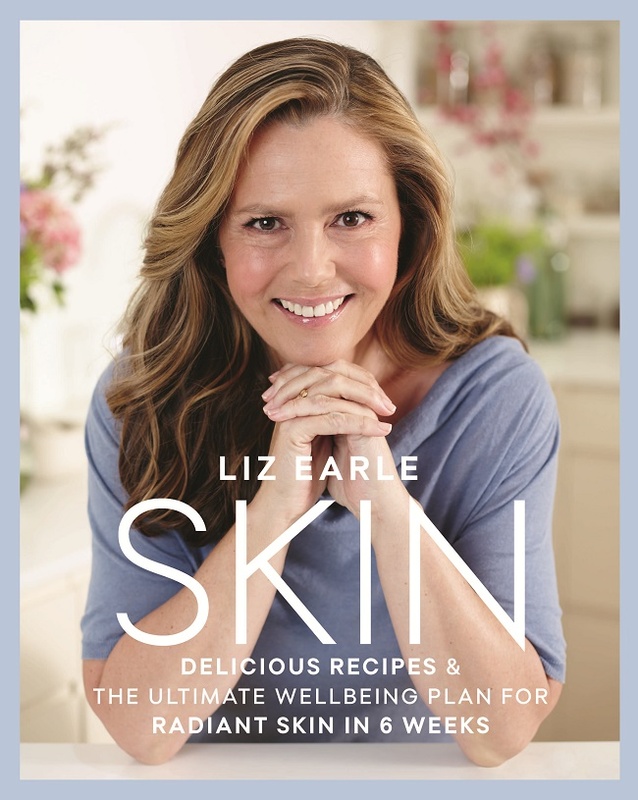 Her latest business ventures includes Liz Earle Jewellery and she also publishes a quarterly magazine, Liz Earle Wellbeing.